There are numerous types of custom embroidery shirts available in the market and on the internet too. Online shopping sites offer custom embroidery shirts of all sizes and of different colours depending upon the taste of the customers. Basically, embroidery is an art of making attractive and artistic designs by a needle and a thread on a shirt or a piece of cloth (patch). There are many printing techniques which use only coloured inks to draw designs on a shirt but here we shall only discuss about the different types of custom embroidery shirts and later on, their benefits will be discussed too. Generally, many brands offer multiple styles of custom embroidery shirts which include embroidery work done on Full Zippers, Fleece, Plane-shirts, Jackets, Polo shirts, Sweat shirts, Round Neck T-shirts and V-neck T-shirts. For household use, you may buy personalised collections of embroidery shirts available in the market. But if you want to make shirts for your company or for your institution, you may place an order for customized embroidery shirts. The organizations, offering the service of printing embroidery shirts, will manufacture according to your needs. If you want to make a logo of your company or want to design an interesting design on a shirt, just ask them, they will print designs according to your requirements. Many people use custom embroidery shirts for their own personal uses. Some use these shirts for advertising their companies, and some use them for the purpose of showing their love or passion for something. While talking about the advertisement of your company, Polo shirts are usually used for advertising purpose. This is done by making your company logo on the left chest of Polo shirt for your employees. This is the traditional way of advertisement. If you are a great fan of football, then you may print a football related stuff on your shirts. Embroidered polo shirts having something mentioned about your company will have a great impact on the work efficiency of your employees. It actually creates an environment where every employee feels united and works confidentially. Wearing embroidered shirts is the cheapest way of advertising your company. Someone see your employees working, will also stare at their shirts, this will increase the popularity of your company. 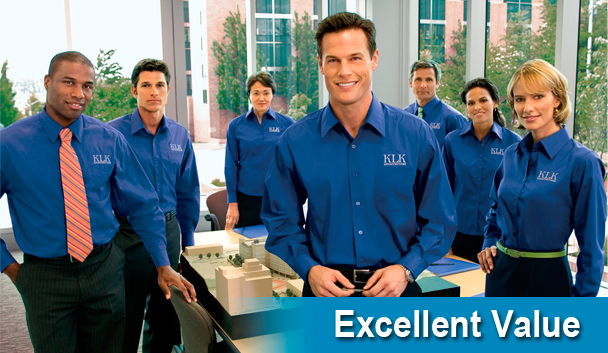 Everyone wearing the same shirt with the same logo helps in identifying your employee in a function or a seminar. Club members can easily be identified by their same embroidered shirts. If you manage a sports team and have embroidered shirts for your team members, then there’s a great chance that they can be easily identified by you on the ground while playing. Custom embroidery shirts will make your business a unique one in the market. This creates a sense of professionalism in the minds of customers and also of your employees. Despite of the overall advertisement of your company, you may advertise your specific product by designing and printing a new logo for that product, along with your company name or logo, on to your employee’s shirts. This will help advertise your specific product or service with your company name. If you want to show your passion for football or any other sport, you may design a logo or may print any name/statement for your shirt which fully represents and expresses your feelings about that sport.